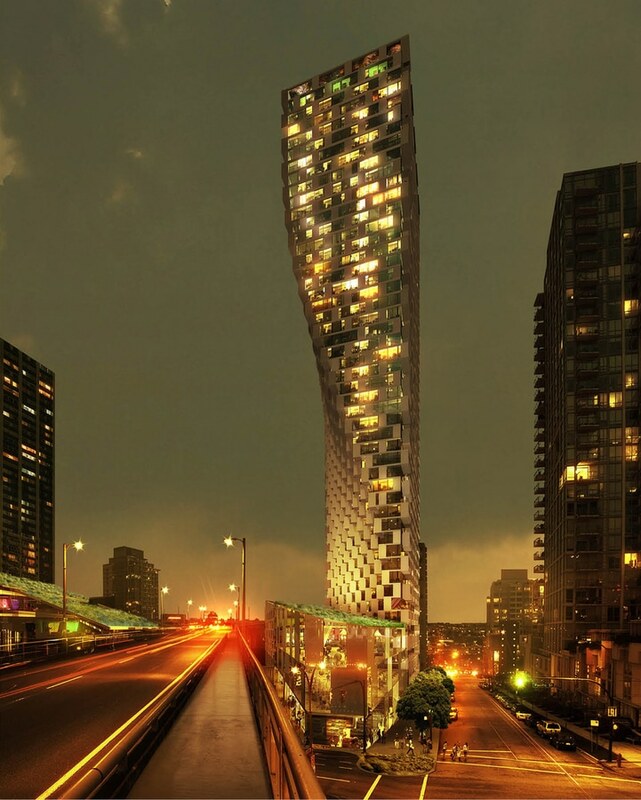 BIG's proposal for a 150-metre-high twisted skyscraper in Vancouver has won the title Future Project of the Year 2015 at the World Architecture Festival. 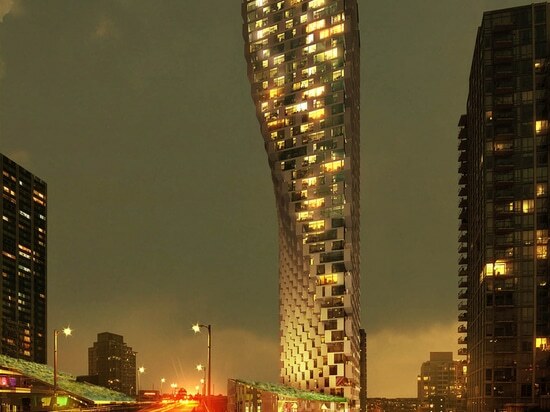 Bjarke Ingels' firm contorted the form of its 49-storey Vancouver House, creating a 30-metre setback from the adjacent motorway flyover that prevents any windows or balconies from overlooking it. Nine floors at the base of the tower will accommodate offices, shops and restaurants, which will spill out onto a series of public plazas that stretch underneath the elevated highway. 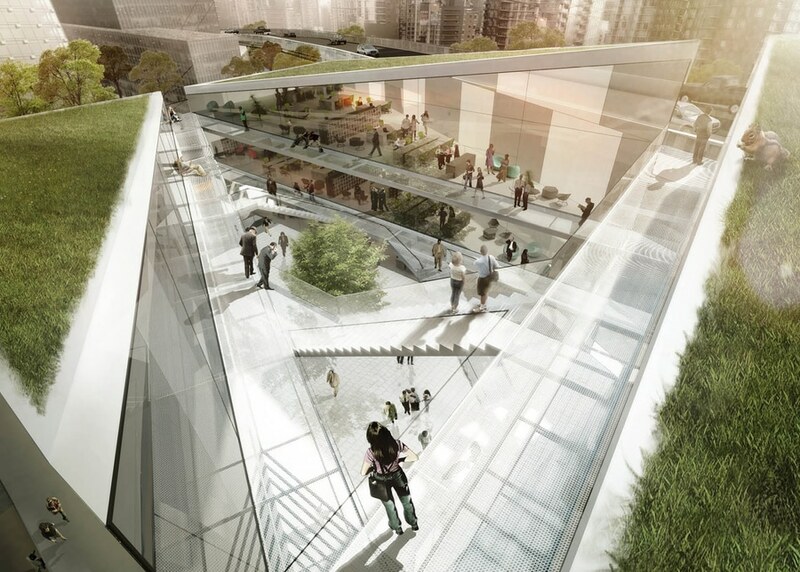 The judges selected the project because it "mitigates the destructive impact of the highway flyover on infrastructure and urban form, and generates an exemplar new urban typology." 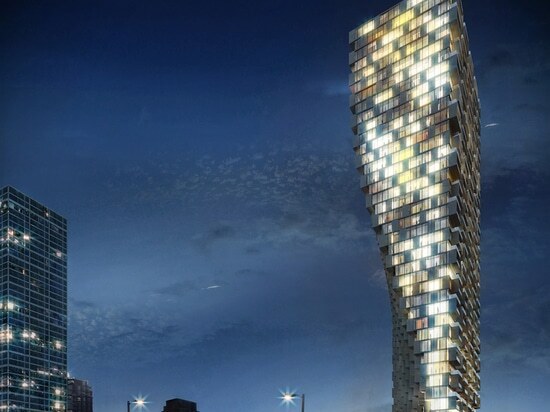 "It is a delightful project that will impact positively on many future municipality- and developer-led agendas for cities across the world," they said. 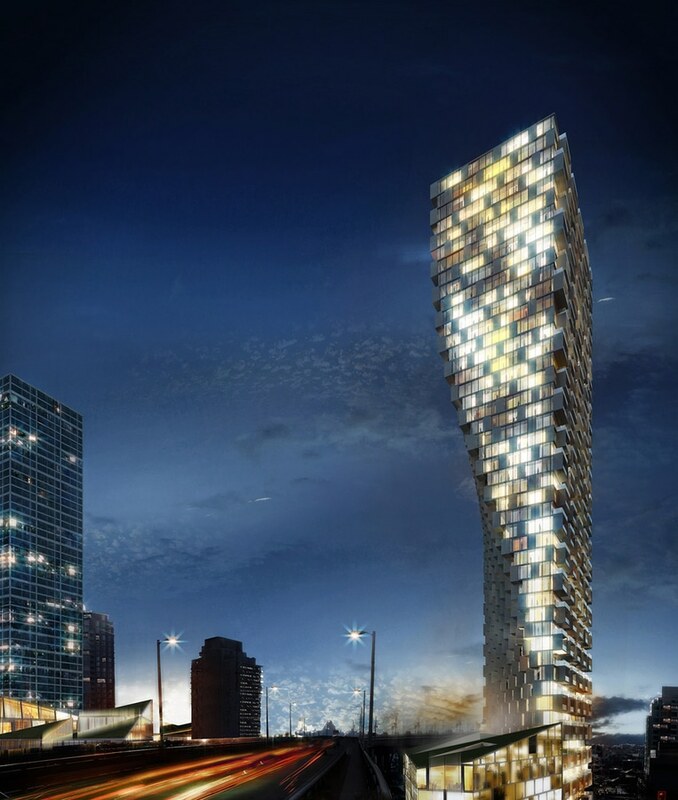 In 2014, the Future Project of the Year prize was awarded to Canadian firm 5468796 with its design for an art gallery with a spiny exterior, while in 2013 it went to Australian studio Cox Rayner Architects for its National Maritime Museum of China proposal.